The solution is to either replace the flasher unit in your vehicle if replaceable, or add enough load back onto the system to trick the electrical system into thinking that nothing has changed. Correcting hyper flash or bulb out warnings when you upgrade is relatively easy once you understand what needs to be done. We get asked all the time, how many resistors will I need? The answer is simple: If you're removing a filament turn signal bulb add one VLR-6 in its place. It's like balancing a scale, if you remove weight the scale will be unbalanced so you're simply putting the same amount of weight (load) back on. 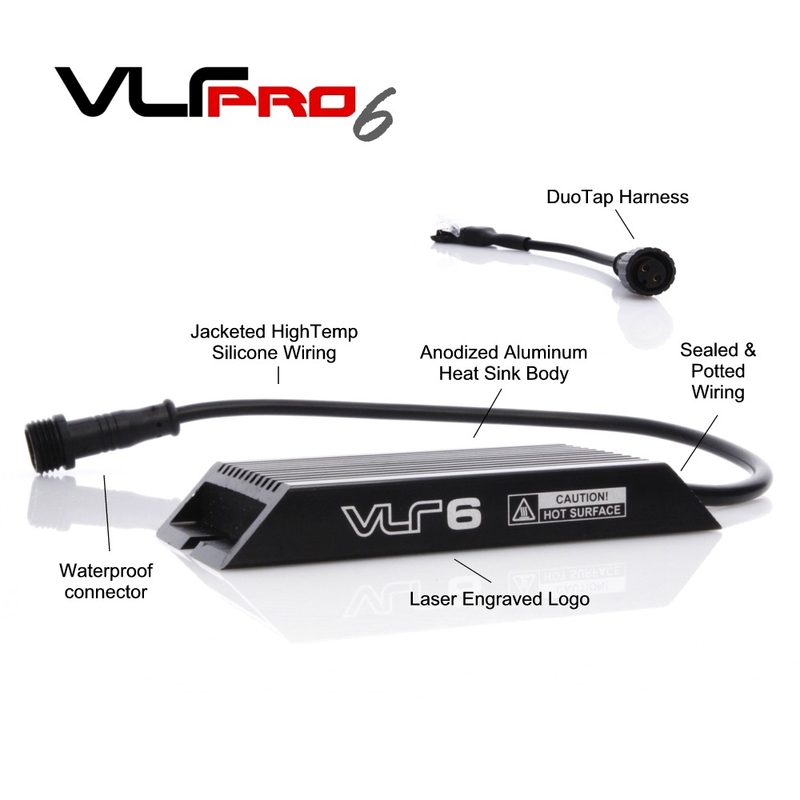 Once you have purchased the VLR-6, installing them is quite simple. The resistors need to be connected to the wiring of the vehicles light socket with the DuoTap harness. From there simply plug the VLR into the black connector. If installing in our V6 Triton system this connector will be plugged into the T adapter. When it comes to mounting simply use the supplied high temperature double-sided tape to attach to a clean metal surface. Always keep your resistor away from existing wiring or plastic parts as they could be damaged with sustained resistor use. Once the resistors have been installed test them by turning on the turn signals. Hazards will not hyper flash so be sure to test each side individually. Even though the VLR resistors operate much cooler than standard gold resistors they can still get hot especially if the turn signals are left on for an extended period of time (i.e. hazards are on while broken down alongside the road). It is a good idea to always mount a load resistor to a metal surface away from other wires or plastic parts.